In order to improve we all need to practise especially when exams, competitions or shows are approaching. We ask that you practise at home each week to achieve and maintain flexibility. Do I need to attend classes regularly? It is essential that classes are attended consistently. If students frequently miss classes, it is difficult for them to catch up on what they may have missed and it is also difficult for other students to work around those who are missing. Do I need to attend meetings regularly? Meetings are important for parents and students to attend. These meetings deal with important issues regarding costumes, timetable changes, special events etc. There are only a few meetings per year. How is other information relayed to parents and students? We have communication pockets in the hallway that are used for information. Newsletters are printed once per term to keep everyone up to date. Please check the website for the latest newsletters and event information. Also keep an eye on the noticeboard in the waiting room as information is relayed through this board. Other items of interest are also put on the board relating to outside workshops, summer school, and specials on dance wear. Is it compulsory to do Examinations? It is not compulsory, but is advisable for all students to enter exams. Exams give students and parents an idea of how they are progressing and the standard of their work. It also gives the students a standard to aim towards. Our school has a 100% pass rate for exams with many students receiving high results up to and including teaching qualifications. Is it compulsory to do Competitions? Troupe Competition Work – No. 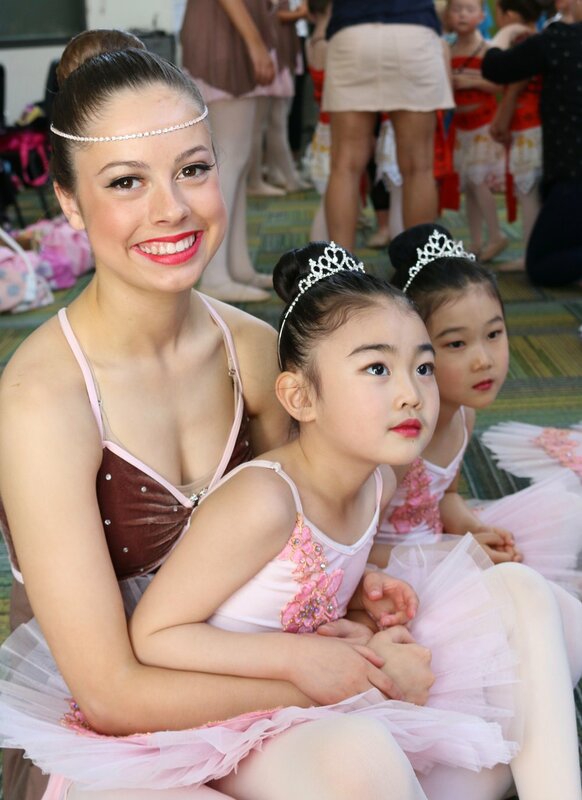 It is optional whether students dance in troupes at competitions; however participation is greatly encouraged as it is a valuable performing experience and teaches students the value of teamwork. If students intend dancing in troupes, both the student and parent need to understand that, to reach competition standard, a commitment must be made. All troupe rehearsals must be attended to achieve this standard and a troupe commitment form must be signed by student and parent at the beginning of the year. Students missing rehearsal will not be able to remain in the troupe. Solo Competition Work – This is optional also. Students are able to enter solo dances for competitions if they wish in consultation with their private lesson teacher. Again, full commitment is required in all aspects of competition work, including attendance at private lessons, practise at home and allowing for costume requirements. Solos are great for students of any age to gain self-esteem, confidence and performing skills to further their dancing careers. We limit our class sizes to 12 children to ensure each child receives individual attention and corrections, as well as keeping a personal atmosphere. Students 3-5 years - please note parents are asked not to stay in Level 2 classes while they are taking place as this can affect a child’s development and confidence. There is a waiting room you may use while classes are taking place. We do allow parents of our Level 1 to stay and watch, as we do understand that it’s important at this age for your child to feel settled in such a new environment. Students 6 years and older - During the last week of classes for each term, parents are invited to sit in and watch the class.